Main stone: Opal &Topaz (lab-created). Item Type: Handmade Fashion Dangle earrings. Stone Style : Round. DO NOT DUPLICATE OR COPY! Stone size: Multi. Main stone: Opal &Topaz (lab-created). Item Type: Handmade Fashion Dangle earrings. Item will keep and leave our storage within 72 hours. DO NOT DUPLICATE OR COPY! Stone Style : Round. Main stone: Fire Opal & topaz (Lab-created ). Stone Style : Cat claw. Item Type: Handmade Fashion Stud earrings. DO NOT DUPLICATE OR COPY! Condition: 100% New. Main stone: Fire Opal (lab-created). Material: Rose Gold Plated. Main stone size : 6 6 mm. Main stone: Black Onyx &White Fire Topaz(labc-reated). Item Type: Handmade Fashion Stud earrings. Stone Style : Flower. DO NOT DUPLICATE OR COPY! Item will keep and leave our storage within 72 hours. Main stone: Fire Opal (lab-created). Material: Rose Gold Plated. Main stone size : 8 6 mm. Main stone: Fire Opal & topaz (Lab-created ). Stone Style : Cat claw. Item Type: Handmade Fashion Stud earrings. DO NOT DUPLICATE OR COPY! Quantity: 1 Pair. Main stone: Fire Opal(Lab-created). Item Type: Handmade Fashion Stud earrings. DO NOT DUPLICATE OR COPY! Stone Style : Square. Stone size: 6 6 mm. Main stone:Morganite & Cubic Zirconia. Item Type: Handmade Fashion Stud Earrings. DO NOT DUPLICATE OR COPY! Item will keep and leave our storage within 72 hours. Quantity: 1. Main stone: Fire Opal (lab-created). Material: Rose Gold Plated. Main stone size : 5 5 mm. Main stone: Fire Opal & topaz (Lab-created ). Stone Style : Cat claw. Item Type: Handmade Fashion Stud earrings. DO NOT DUPLICATE OR COPY! Item will keep and leave our storage within 72 hours. Main stone: Garnet & topaz. Stone Style : Cat claw. Item Type: Handmade Fashion Stud earrings. DO NOT DUPLICATE OR COPY! Quantity: 1 Pair. Main stone: Fire Opal (lab-created)white fire topaz. Material: Silver. DO NOT DUPLICATE OR COPY! Item will keep and leave our storage within 72 hours. Main stone size : 5x5mm. Quantity: 1 pair. Main stone: BI-COLORED Tourmaline (Lab-Created ) Stone size:about 10x14mm. Item Type: Earrings. Condition: 100% New. Main stone: Fire Opal (lab-created)white fire topaz. 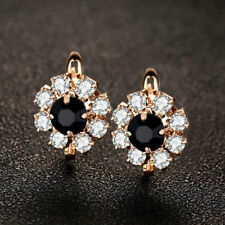 Material: Yellow Gold Plated. DO NOT DUPLICATE OR COPY! Main stone size : 6x6mm. Quantity: 1 pair. Gold Plated. And we will do our best to solve the problem and give you a satisfying answer. Main stone: Fire Opal (lab-created)white fire topaz. Material: Yellow gold Plated. DO NOT DUPLICATE OR COPY! Item will keep and leave our storage within 72 hours. Main stone size : 5x5mm. Quantity: 1 pair. 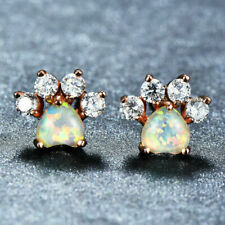 Main stone: White Fire Opal(lab-created) White zircon. Style : Stud Earrings. Material: Yellow Gold Plated. Item will keep and leave our storage within 72 hours. Main stone: White Fire topaz. Item Type: Handmade Fashion Stud earrings. Stone Style : Flower. DO NOT DUPLICATE OR COPY! Item will keep and leave our storage within 72 hours. Trending at C $9.37eBay determines this price through a machine-learned model of the product's sale prices within the last 90 days. 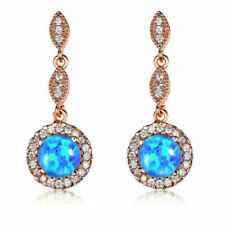 Chic style is never out of reach with our White Opal Spike Dangle Earrings. Gemstone is 100% natural. White Opal Spike Dangle Earrings. Actual product may slightly differ from the image we provide. Main stone: Fire Opal (lab-created)white fire topaz. 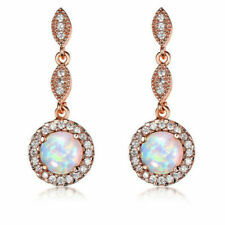 Material: Rose Gold Plated. DO NOT DUPLICATE OR COPY! Item will keep and leave our storage within 72 hours. Main stone size : 5 5 mm. Quantity: 1 pair. Main stone: White Fire Topaz & Cubic zirconia. Item Type: Handmade Fashion Stud earrings. Stone size: 6 6mm. DO NOT DUPLICATE OR COPY! Stone Style : Square. 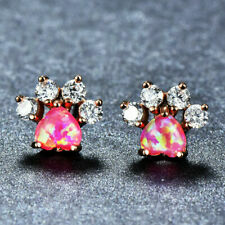 Main stone: Fire Opal(Lab-created) & Cubic zirconia. Item Type: Handmade Fashion Stud earrings. DO NOT DUPLICATE OR COPY! Stone Style : Square. Item will keep and leave our storage within 72 hours. Main stone: Fire Opal(Lab-created). Item Type: Handmade Fashion Stud earrings. Stone Style : Round. DO NOT DUPLICATE OR COPY! Item will keep and leave our storage within 72 hours. Item Type: Handmade Fashion Dangle Earrings. Main stone: White Fire Topaz. Stone Style : Flower. DO NOT DUPLICATE OR COPY! Stone size: Multi. Chic style is never out of reach with our White Chalcedony Dangle Earrings. Gemstone is 100% natural. White Chalcedony Gold Plated Dangle Earrings. Actual product may slightly differ from the image we provide. Stone Style : Olive branch. Item Type: Handmade Fashion Dangle Earrings. Main stone: White Fire Topaz. DO NOT DUPLICATE OR COPY! Quantity: 1. Stone Style : Peacock. Item Type: Handmade Fashion Dangle Earrings. Main stone: White Fire Topaz. DO NOT DUPLICATE OR COPY! Stone size: Multi. >Stone Type(s):Fire Opal ( lab-created ). > Type:Drop Earrings. Luxury Crystal Diamond Garnet Topaz Platinum Plated Silver Earrings 1 Pair Pink. Main stone: Garnet ,Topaz. Material: Platinum Plated. Quantity: 1 Pair. Color :Pink. Raimstone size : Multi. And we will do our best to solve the problem and give you a satisfying answer. Main stone: Opal &Topaz (lab-created). Item Type: Handmade Fashion Dangle earrings. DO NOT DUPLICATE OR COPY! Stone Style : Round. Condition: 100% New. Main stone: White Fire Opal(lab-created). Style : Stud Earrings. Material: Yellow Gold Plated. Item will keep and leave our storage within 72 hours. 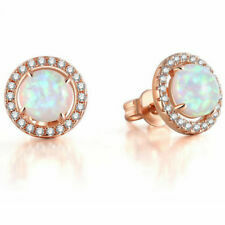 Main stone: White Fire Opal(lab-created) White zircon. Style : Stud Earrings. Material: Rose Gold Plated. Item will keep and leave our storage within 72 hours. Gold Plated. We will respond within 24-48 hours, in most cases sooner. Main stone: Fire Opal(Lab-created) & Cubic zirconia. Item Type: Handmade Fashion Stud earrings. DO NOT DUPLICATE OR COPY! Item will keep and leave our storage within 72 hours. Stone Style : Square. Size: 12x16mm. Style : earring. material: shell pearl. Due to the difference between different monitors, the picture may not reflect the actual color of the item. We believe that a good communication will be helpful for solving the problems.